Cyclists on Cooper riding on what will soon be a bike lane. Those anxiously awaiting the arrival of the bike lanes in the Cooper-Young neighborhood will not have to wait very much longer, according to the Memphis Bike and Pedestrian Coordinator, Kyle Wagenschutz. "We had already completed all of the repaving work that we had in the area and have put down a new centerline and temporary striping on the road surfaces," Wagenschutz said. He also said that the guidelines for the bike lanes have been sketched out for where the new bike lanes will be. Instead of paint being used for the striping of the bike lanes, Wagenshutz said, it will be made of a thermoplastic. This is a polymer-based material that becomes solid after it cools. Wagenschutz said that this has a much longer life span than paint does. In order to complete the striping project, the contractors performing the work must have the proper weather conditions for it to cure. Weather permitting, this project should begin and be completed any day now, Wagenschutz said. According to Wagenschutz, part of the reason for the recent delay in completing this striping project was the Cooper-Young 4-Miler Run and the festival that took place on the 14th and 15th of September. Tamara Cook, from the Cooper-Young Business Association, said that there has been no resistance to the bike lanes and that discussions about this date back to 2008. "The bike lane addition was part of a bigger effort to make the streets of Cooper-Young safer for all who travel here, regardless of the mode," Cook said. 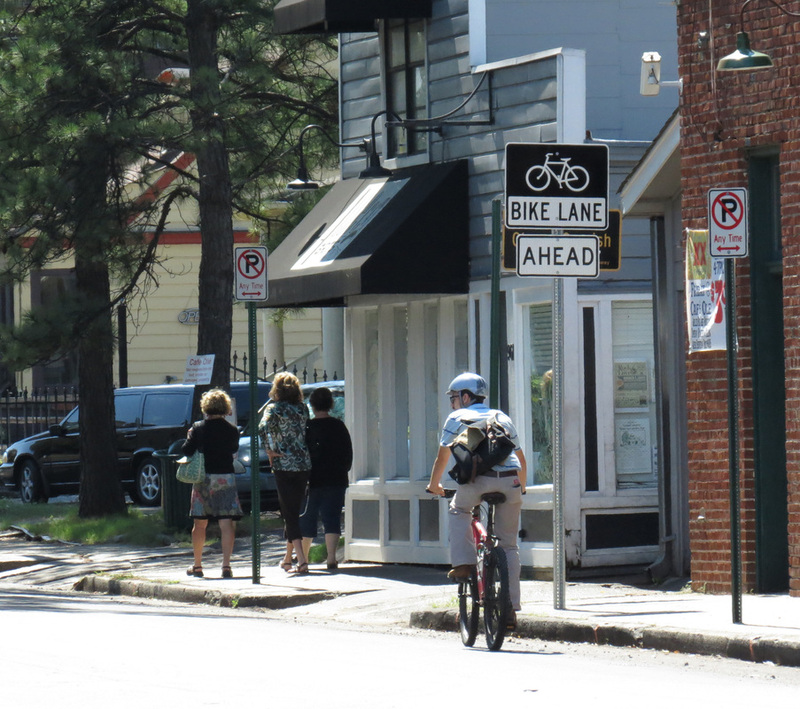 Kristan Huntley, from the Cooper-Young Neighborhood Association, said that businesses and residents in Cooper-Young know that biking is a popular means of getting around in the area and that having them will help build community and neighborhood bonds. Cook also said that she thinks that having bike lanes, especially one north bound with one south bound traffic lane, and a turn lane in the middle will help decrease the speed in which some of the drivers travel on Cooper. Huntley also believes that the bike lanes will help slow traffic and make it safer and more friendly to families, visitors, and businesses. In the future, Cook said that she hopes to see blinking lights installed at the intersection of Cooper and Young and on Cooper and Nelson Avenues because it would make drivers use more caution when traveling in this area. Bike lane signs are already in place on roads, like Cooper. Guidelines have been sketched out for the striping that is expected to be done any day now.